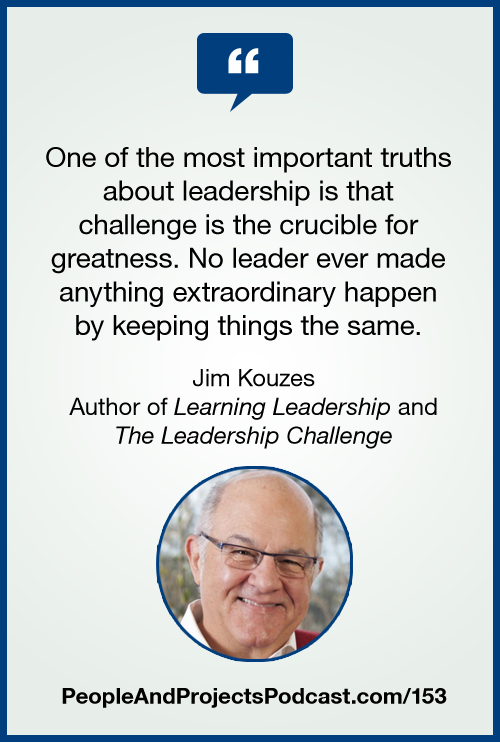 In this episode, I welcome back leadership researcher and author Jim Kouzes. Jim joined us back in episode 62 to talk about the book Credibility. Jim and his writing partner Barry Posner have published a new book entitled Learning Leadership: The Five Fundamentals of Becoming an Exemplary Leader. If you truly want to accelerate your ability to lead, I highly recommend you get a copy. In this episode I mention the Leadership Practices Inventory® (LPI®). It's a powerful tool for receiving the feedback you and your leaders need to raise the bar in your effectiveness. Learn more about our LPI 360 at http://PeopleAndProjectsPodcast.com/LPI. WHISKEY ON THE MISSISSIPPI by Kevin Macleod Licensed under a Creative Commons: Attribution 3.0 License.